Columbus, OH - September 10, 2012 – Patrick Stewart, known to millions of fans as “Captain Jean-Luc Picard” on the television series “Star Trek: The Next Generation,” and “Professor Charles Xavier” in the X-Men film series, and “Star Trek” franchise standout John de Lancie (“Q”) will attend Wizard World Ohio Comic Con, Wizard World, Inc.
Chicago, Illinois, USA - Chicon 7, the 70th World Science Fiction Convention (Worldcon), is pleased to announce that the 2012 Hugo Awards Ceremony will be re-broadcast in its entirety and ad-free via Ustream on Sunday, September 9, starting at 7 p.
October 4 - 7, 2012 (Los Angeles, CA) - Shriekfest International Horror and Sci-Fi Film Festival is thrilled to announce the full, expanded schedule for the TWELTH annual horror film festival, returning to Raleigh Studios Chaplin theatres, October 4-7th, 2012. Bethesda, Maryland; September 6, 2012 – The Small Press Expo (SPX), the preeminent showcase for the exhibition of graphic novels, independent comics and alternative political cartoons, is pleased to to announce the gift of $5000 in graphic novels to the Enoch Pratt Free Library of Baltimore, Maryland. 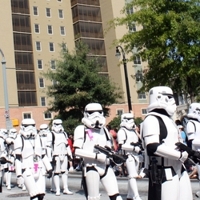 Labor Day weekend this year was one of the biggest weekends for comic book fans, sci-fi fans, and anime fanatics across the country, with almost a dozen conventions happening that weekend - ranging from megacon Dragon*Con to first-year cons like Meta Con. 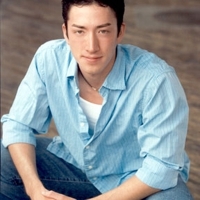 Meta Con 2013 announced today that voice actor Todd Haberkorn will be returning to the convention next year. They also announced that the convention will be held Labor Day weekend at the Hyatt Regency Hotel in downtown Minneapolis. The World Science Fiction Convention (Worldcon) is coming to London in 2014 – and it’s bringing some of the biggest stars in science fiction and fantasy with it. London was confirmed as the venue today (September 2nd, 2012) at the 2012 Worldcon in Chicago. Bethesda, Maryland; August 28, 2012 – The Small Press Expo (SPX), the preeminent showcase for the exhibition of independent comics, graphic novels, and alternative political cartoons, is pleased to offer a small film festival at this years show. Otakon Members Once Again Step Up for Tsunami Relief Baltimore, MD (August 27, 2012) - Earlier today, Otakon 2012 announced that they raised over ¥3,000,000 ($38,000) for Japan Relief in 2012, for a total of over $100,000 since 2011. BALTIMORE, MARYLAND - August 27, 2012 - In addition to the great line-up of guests for this year's Baltimore Comic-Con, we are very pleased to have more than 100 retailers also attending the show, which will be taking place the weekend of September 8-9, 2012.